What a lovely science fiction novella! It’s a quiet story, and a short read (I read it in under an hour). Because of that, this review will be a bit shorter than normal. Vonika’s an autistic engineer who chose to immigrate to an alien planet. She has built a career and life for herself there, complete with a marriage to an alien woman. In Temia, older citizens go through a process where they transition away from individuality and towards a group consciousness. Vonika is still deciding whether or not she’s willing to go through the process when she begins to get flashes of memories that don’t belong to her… At the same time, Temia is on the brink of war with a neighboring country, so Vonika’s life may be changing in more ways than one. This Other World is intimately focused on Vonika’s life. While she is effected by larger events and affects them in turn, This Other World is no the sort of story that has a large scope or a heavy focus on action. It’s the sort of book I’d imagine would be perfect for curling up with a cup of tea on a cold day. Vonika never felt like she fit in on Earth, and she still doesn’t really fit in in Temia. But as one of the only humans in the nation, her differences are presumed to be a feature common to her species and she finds herself more readily accepted. I can’t speak as to how her autism is portrayed, but I’ll note that this is own voices – the author is autistic as well. 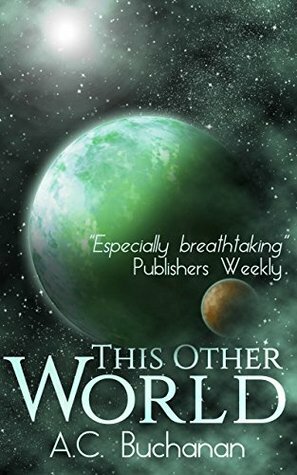 I suggest This Other World for anyone looking for charming sci-fi novella with a bit of a mystery element.